Fun Activity: If you are looking for ways to keep the kids active gardening is a perfect solution. You can be active together in a safe environment ideal for smaller children. You will be outdoors and can work together on activities such as weeding and small children are always happy to get involved with tasks such as watering. As your kids become older they can assist with chores such as raking up leaves and mowing the lawn. Together you will tend to the garden and if you plant vegetables kids will see the fruits of their labour and be excited at the prospect of cooking and eating the foods you have grown as a family. Kids love planting and you can have special containers for each child to choose and plant their own little garden or in larger gardens have each child create their own garden beds. 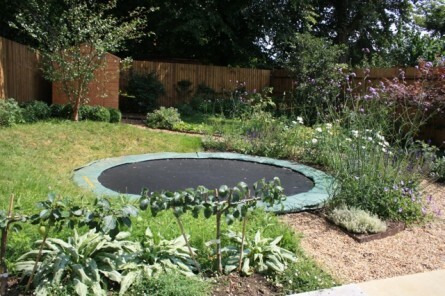 They will then have activities they can tend to on their own each day to keep their garden looking lovely. Being Creative: Even the simplest garden requires imagination and creativity. When you work together as a family to design a garden each of you will put a part of them selves into the design. You can visit the garden centre together and explore the wonderful colours and textures. Kids can take a look and choose the plants they like and then take them home and plant them. Even if you are planning to hire a landscaper you can write down the names of the plants each child likes and ask them to incorporate it into their plans. A Sense of Responsibility: From watering to raking and mowing to planting gardening will help teach your child about responsibility. If they forget to water their plants they will see the affect it has. This is a very visual and rewarding lesson for children and as they take on their tasks they will learn how to care for something to teach them about nurturing as well. They will see how caring for a garden can result in great beauty and that neglect can result in a less than favourable result. When you all work on the garden together it will teach children about teamwork and how when each person does their part an entire garden can grow. They will learn how to work together and how each person has an important job to work towards a final result. Nature has much to offer children and your own property can provide a wonderful world of exploration and learning.